The more worried I feel about expressing my views on a particular topic, the more interest a blog seems to generate. I’ve written this in anticipation of the Mental Health Taskforce Report, finally due out next week. Although, I’m unsure what you’ll think, I feel the need to say some things I could not have said when I was doing my old job running mental health services. Mental health services are undoubtedly scary. But they are not all the same. The atmosphere and standard of care even on different wards in the same hospital can vary widely. It depends on the expertise and most of all the compassion of the doctors, nurses and the people in charge. If you have had a poor experience of care, either as a patient or a family member, that is terrible. It is vital that we face the fact that 1 in 3 people say they experience stigma within services. The Time to Change project I’ve been chairing addresses this, with more to report later this month. But at the same time, we must do all we can not to terrify people who need treatment. The chances are they will receive care that will really help. And if they start out assuming the worst, it will be even harder for the staff working with them to establish a therapeutic relationship. And this is the most valuable treatment tool available. I know this from personal experience. The standard and availability of care in mental health services also depends on the attitudes and expertise of those running and commissioning these services. There is a real and present danger that, faced with wicked choices of saving vast sums of money from the NHS, commissioners look to make savings which will cause the the least outcry, ie from mental health. This isn’t an opinion, by the way. It is a fact. In particular, they look at most expensive care, which happens to be in hospitals, and persuade themselves that the local population can do without most or even all of it. But they can’t. To try to “re-engineer” aka cut beds without careful testing and sustained investment in evidence-based alternatives is irresponsible and dangerous. And yet this is exactly what has been done and continues to be done all over the country right now. Lord Crisp’s report into the availability of acute mental hospital beds published yesterday laid the facts bare. It was a good start. And the access targets it proposes will help. But we still have a long battle to rid ourselves of stigma towards mental health services not only from society but also from the rest of the NHS. Alcoholism and misuse of drugs are symptoms of mental distress and/or of underlying mental illness. To treat them simply as addictions is cruel and pointless. It may seem cheaper in the short term to separate such services from the NHS and employ unqualified staff to provide care. And it may be politically attractive to take a punitive, non-therapeutic approach to those who self medicate with alcohol or illegal drugs. But to do so condemns vulnerable people to a half life of pain and a premature, horrible death. There are millions of treatments available for physical illnesses. The same is so for mental illnesses. But why is it that people think they have a right to comment on the treatment of others who are mentally ill in a way they would be unlikely to do for, say, diabetes or heart disease? It’s true that psychiatry and psychology are inexact sciences. This is why they take more expertise, humanity and humility than the other disciplines of medicine. So if you feel tempted to comment on someone else’s treatment, unless you are their trusted clinician, please don’t. There is no hierarchy of mental illnesses, and no patients who are more “deserving” than others. People who experience psychosis don’t deserve more pity than those who have bipolar disorder, or vice versa. And a short bout of clinical depression can be just as fatal as anorexia nervosa. Please remember this and put away your judgements. You can’t see mental illness. And that’s part of the cruelty. Getting up and going to a cheap cafe to spend the day with others who understand the challenges of mental illness might sound easy to you. If you feel inclined to bang on about the value of work to those for whom the thought of being compelled to attend a job interview causes them to seriously consider jumping under a train, please shut up. Just because some people don’t get sympathy from tabloid newspapers doesn’t make them any less of a human being than you. I’ve no problem with the use of words like bravery to refer to those experiencing cancer. And I know from friends with cancer that they have no choice but to be brave. But can we please recognise the courage, guts and determination of those who experience life with mental illness? And can we stop talking about suffering, because it implies passivity and weakness. The one thing I know about every person I have ever met who lives with a mental illness is that they are anything but weak. They are creative and heroic, in ways those who’ve never faced a life such as theirs can only imagine. People who live with mental illness should be applauded and lionized. Not criticised, preached at, commented on, misunderstood and shunned. I hope next week’s taskforce report will recognise this. Congratulations on helping to form a rainbow coalition government so quickly, and for your appointment. It is wonderful that a Conservative/Green/LibDem/Labour/National Health Action (delete as appropriate) MP is prepared to set aside political differences and take responsibility for the NHS in England on behalf of us all. What could be more important? I expect you will get a few suggestions on what to do first. I thought I’d make it easy and send you my list at the earliest opportunity. It contains 5 things. Pass an Act of Parliament that makes it illegal for any politician to use the NHS as a political football. This will allow you to make plans with all the coalition partners that transcend the short – sightedness of a 5 year parliamentary term. And if it puts the Daily Mail out of business, it will be have the added benefit of improving the nation’s mental well-being. Appoint a group of well-informed independent thinkers to form your ministerial team. A few suggestions: Dr Sarah Wollaston, Norman Lamb, Dr Caroline Lucas, Liz Kendall, Dr Clive Peedell. They will help you remember the difference between the role of elected members – to set overall strategy and oversee governance – and of professional clinicians and managers, whose job it is to advise on how best to achieve your aims safely and then deliver them for you. Don’t be tempted to get involved in professional matters such as numbers of hospitals and staff, or specific clinical policies. The most important job for you and your team is the give the experts room to work and keep politics with a big P out of it while they do. When fighting for the money needed from the Treasury to stabilise and transform the NHS and meet health needs today and for generations to come, think what Nye Bevan would have done if he had been told it couldn’t be afforded. Then do that. Do what you must to sort out the mess that means that 7 people now do the job of one civil servant who used to run the NHS, and ties the hands of politicians like yourself in bureaucratic loops. Remove the tyranny of competition for competition’s sake. But don’t do a wholesale reorganisation. 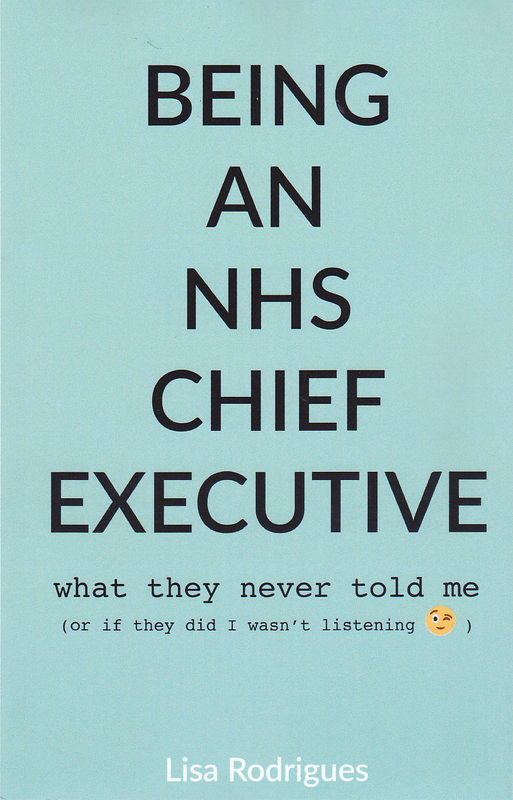 It is the way we provide NHS services that needs to change, not arcane aspects of structure. Psychosis is like cancer. The earlier it is diagnosed and treated, the better the prognosis and the least likely it is to recur. The same is true for all serious mental illnesses. People with serious mental illness die on average 20 years earlier than the rest of the population. From suicide, yes, but more frequently from heart disease, strokes, cancer and the complications of Type 2 diabetes. Putting mental illness first will save money and lives, and make those lives worth living. The results of the 2015 election show that the public are fed up with media-savvy politicians who speak in sound-bites and put their own interests and those of their well-connected friends before the needs of ordinary people. But it will take us a while to relearn that honourable politicians sometimes make mistakes, that most mistakes only come to light with the benefit of hindsight, and that even the best decisions don’t invariably deliver the expected results. Being a public servant has never been harder. Please take care of yourself; we need you to remain compassionate, committed and to keep telling it to us like it is. One effect of antidepressants is to knock the top and bottom from one’s emotional range. After dark weeks of despair, self-loathing and nothingness of my most recent depression, I welcomed this. It was a relief to feel calm, even blunted. Now I’m on a reducing dose of medication, I notice a gradual return to a more responsive emotional state. I’m more joyful, sometimes a little more anxious. And I find myself getting angry again about things that matter to me. Actually, I felt angry today. While it’s great that NHS England and the government recognise the need to invest in children and young people’s mental health services (CAMHs), why has it taken so long to find this out? And why is investment an election manifesto promise, rather than simply the right thing to do for our young people? I have two interests I should declare. I ran such services for 20 years, including 13 as a chief executive. I first saw a psychiatrist myself aged 15. The current system isn’t working. But we need to understand how we reached this position, or we risk not improving things far enough, even at all. CAMHs staff are, almost without exception, amazing people. They don’t look after one patient at a time. They deal with the complications of whole families. They have extraordinary skills, vocation, patience and perseverance plus bucket loads of compassion. But across the country, many are fed up with being blamed for failing children and young people. Because they aren’t failing them. We all are. The current “commissioning” arrangements could not have been more badly designed unless they were intended to be poor value and counter-productive. It is unacceptable that the different “Tiers” of care are purchased by unrelated parts of the so-called “system”. And that when children fall between the gaps, it is the clinical staff and their employers who face the blame. Local authorities are under even greater financial challenge than the NHS. Many have made massive cuts to the first line, lower tiers of these services, or made them even harder to access than the higher, NHS tiers. Yet their members sit, by statute, in judgement of the NHS through Health Overview and Scrutiny Committees. Watch me and colleagues participating in this arrangement at Kent County Council a year ago, during which time one councillor publicly suggested that commissioners had set up the trust and staff I then led to fail. Commissioners of such services have in many cases not been given the chance to argue for increases in resources, or even to defend the services they commission from cuts. Some have even felt the need to assert that providers were exaggerating the now-proven, substantial national increase in referrals. The causes are multi-faceted. In many unrelated parts of England, services are inundated and can’t cope. Crises occur daily and children wait in police cells to be assessed by hard – pressed clinicians who know there are no beds available anywhere in the country even if the child is in desperate need of admission. Anorexia isn’t a young person’s lifestyle choice. It is a serious mental illness that, without effective treatment, carries a 30% mortality rate. Psychosis is like cancer. The earlier it is diagnosed and treated, the better your prognosis and the least likely it is to recur. The same is true for most other serious mental illnesses. Stop setting organisations against each other by competitive tendering. This may be OK when you have time, but with this, you don’t. Commission one local statutory organisation in each area under the greatest pressure to be the system leader for all aspects of CAMHs except secure care, with commissioners working within the local system. Avoid competition challenges by declaring an emergency, setting targets for engagement with CCGs and GPs, and requiring the lower tiers to be expanded and provided outside the NHS, either directly by schools and/or the not-for-profit sector. Do this for long enough to allow things to settle and thrive, ie a minimum of five years. Don’t allow anything to cloud your judgement. It isn’t social care good, NHS care bad. Or vice versa. CAMHs teams should be multi-disciplinary and multi-agency. Parents and children don’t care who staff work for. What they care about is getting help that is responsive and effective. Carefully consider secure services for children and young people. Are they good value? Clinically effective? Compassionate? Safe? And are children in these services only because there are insufficient non-secure services? Only national commissioners can do this. Work as hard with the next government for increased funding for CAMHs as you would for heart disease or cancer care, were these services in an equally challenged state. Celebrate the amazing staff who do this work. Encourage ministers, the media, CCGs, trusts, schools and the third sector to do the same. Imagine what you would want for your children, were they suicidal, self-harming or hearing voices.